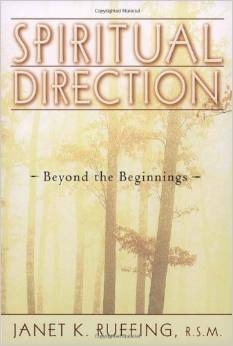 The text for this series of four meetings will be Janet Ruffing's Spiritual Direction Beyond the Beginnings. The group will be facilitated by Avril O'Regan RLR. Janet Ruffing addresses such questions as resistance, desire in prayer, transference and counter-transference and love mysticism. Her method will be familiar to Manresa's graduates as she considers theory, case material and verbatim. She gives attention to the special concerns of women in direction in a volume that promises to prompt helpful discussions in the reading group.